#WaterForAll is the theme for this year’s World Water Day and is focused on tackling the water crisis as it affects marginalised groups. We are called to learn more about water related issues and take action to make a difference. 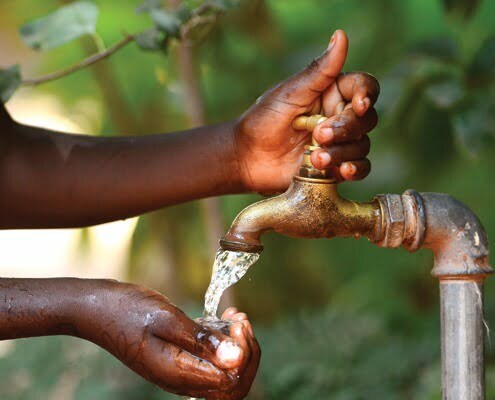 Ensuring availability and sustainable management of water and sanitation for all by 2030 is what the Sustainable Development Goal 6 (SDG 6) entails and the African Development Bank estimates that Africa needs US$11 billion per year to achieve this. By 2020, it is estimated that between 75 and 250 Africans will not have enough water to survive. To think of this is completely overwhelming! Currently, the world is experiencing a water crisis: this can also be linked to the changing global temperatures, the Hadley Cell Expansion helps us understand why climate change is affecting the global water system: as the world continues to heat up, the temperature difference between the poles and the equator decreases and changes world-wide air currents. This causes clouds to move away from the equator and towards the poles, thereby, stripping valuable rainwater from areas of sub-Saharan Africa, the Middle East and Central America. Imagine living without water, or having to walk for many kilometres just to be able to access it, and this water might not even be safe for drinking or enough for a whole community. Think about how we let the water run when we are brushing our teeth, shower for 40 minutes when we can be done in half the time, fail to repair those leaky faucets, washing loads of dishes with running water…the list goes on and on. It’s about time we start to think deeply about the importance of water, how to store it, how to save it and harvest it when the rains come. We need to address the issues on the safety, availability and also the sustainability of water resources and put measures in place, vital measures that are key to our survival to ensure that water stress is a thing of the past. Access to water is a human right, we cannot move forward as a society while so many are living without safe, sufficient, accessible and affordable water.